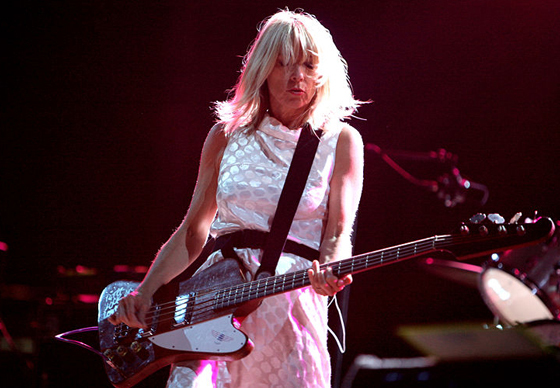 Just short of two years removed from sharing her debut solo single, Kim Gordon has revealed a full-length effort under her own name is in the works, as well as new material with Body/Head. In conversation on Kyle Meredith With..., Gordon explained a new full-length from Body/Head will arrive July 13 through Matador, Consequence of Sound points out. Describing the effort as "really heavy," it's set to mark Gordon's third release alongside Bill Nace, following 2013's Coming Apart and 2016's No Waves. Gordon also added she intends to record a solo album under her own name, which would likely arrive in 2019. That album would not be produced by Justin Raisen, who handled the role for "Murdered Out," though Gordon added she would like to work with him in the future. Elsewhere in the interview, Gordon reflected on a pair of Sonic Youth anniversaries, with the group's A Thousand Leaves and Daydream Nation turning 20 and 30, respectively, this year. You can hear the interview in the player below.